﻿While I'm still defrosting from my amazing (but chilly!) 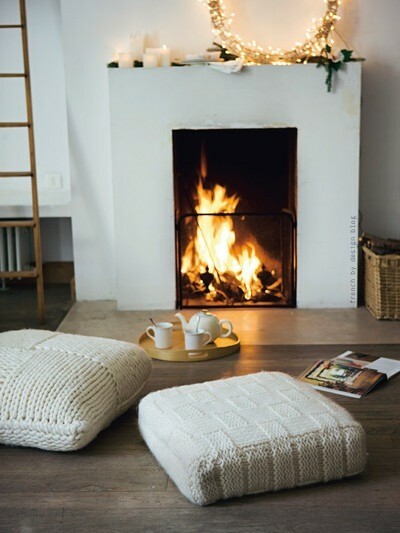 visit to NYC, I thought I'd share with ya'll some of my favorite recent cozy finds from Pinterest. Couldn't you just get lost in some of these dreamy photos? Yup, if you're looking for me at any point in the next few days, you can find me curled up under the chunky sweater blanket in that reading nook next to the fire. Mhmmm. I know a lot of you are snowed in right now, especially up in the northwest. What are you doing to stay cozy today?! 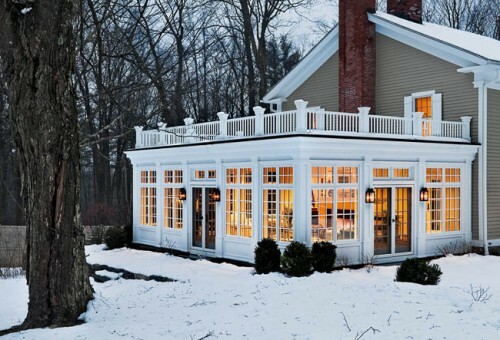 Wish I could steal away and sit on that porch in the fist picture with a cup of hot chocolate. I'm in the North East, and boy, do I miss the snow this year! Love all the wintery scenes! We are patiently waiting for snow here...haven't had any since October!! 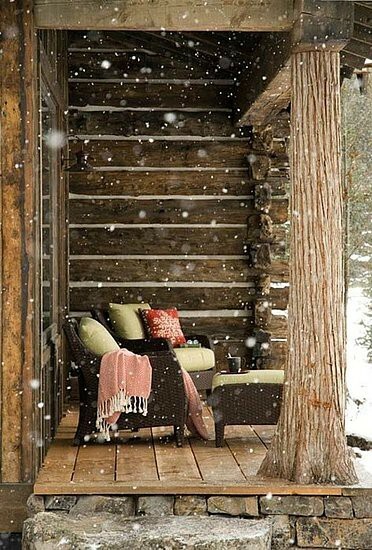 I can't wait to get cozy on a snowy day! Same as the poster above- we haven't had a good snowstorm since October. I'm not so patiently waiting!!! Just saw that cable knit bedding recently and went bananas. Since I live in CA I think I could use it all of four days, but I LOVE it. 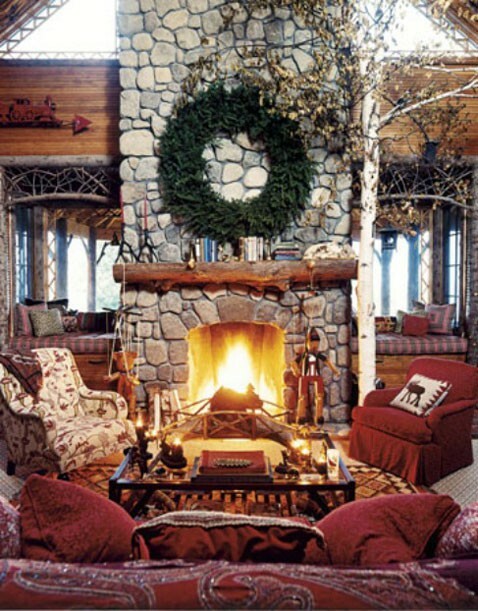 I want to sit by a fire right now so bad. Its not even cold but that doesnt stop me! Well it was snow, but now its just relentless rain. Makes you wanna stay inside even more!!! 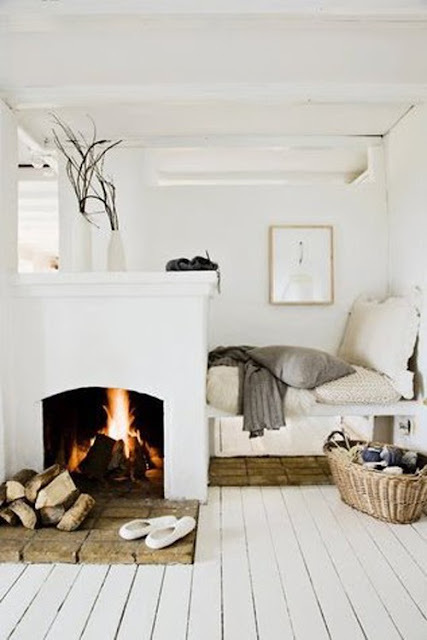 I love that hidaway bed above the old wood stove... that will def. 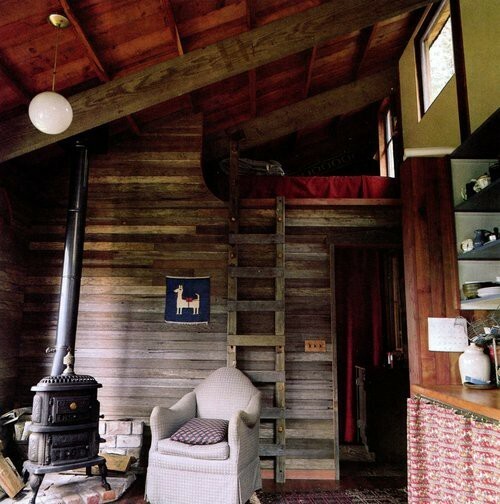 be in my dream cabin. It just started to rain here, so these pix are perfect. 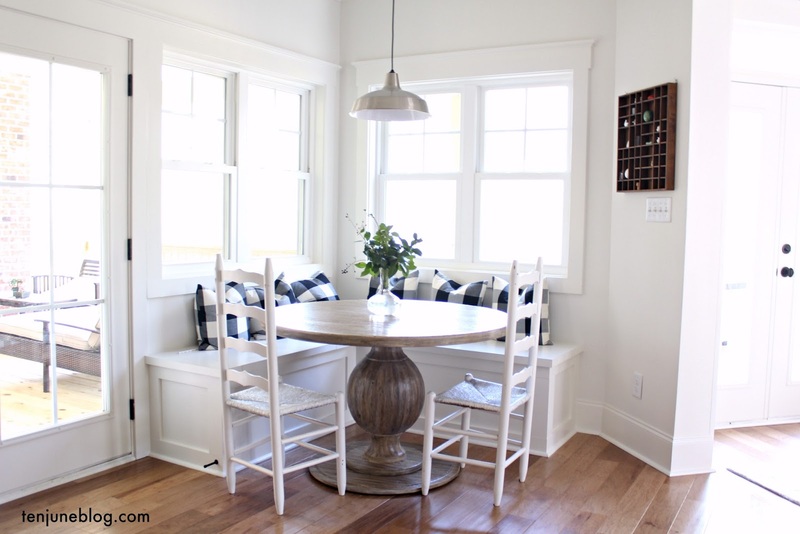 Love the gorgeous sunroom in the 3rd pic. I would love to be there right now. I'm one of those who's snowed in! Yikes. Going a bit stir crazy...but going to do some reading and blogging :) Beautiful images! Glad you had fun in NYC. Can't wait to hear about it. Miss you, Mich! Loving-every-single-picture that you posted today....so compfy cozy! 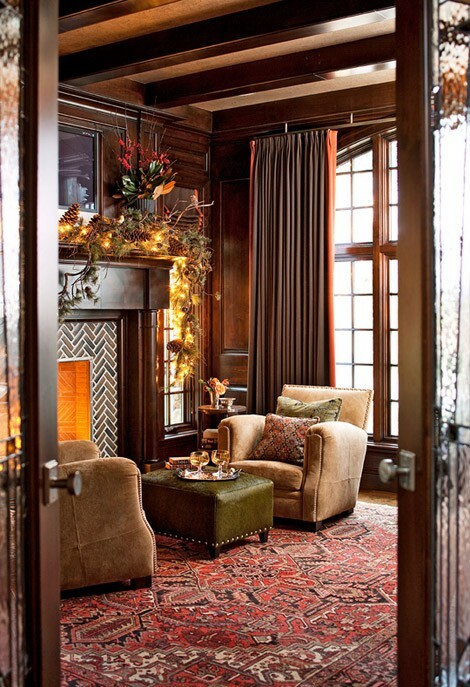 I will happily take that big glassed-in room - awesome for all seasons! And I'm quite looking forward to getting some snow here in Boston this weekend - it's been far too long and hasn't yet felt quite like winter. LOVE the first picture of the porch with the hot cocoa mmmm "Note to self porchs aren't just for summer time"
love that last photo! so glad you had fun in NYC...can't wait to hear all about it! 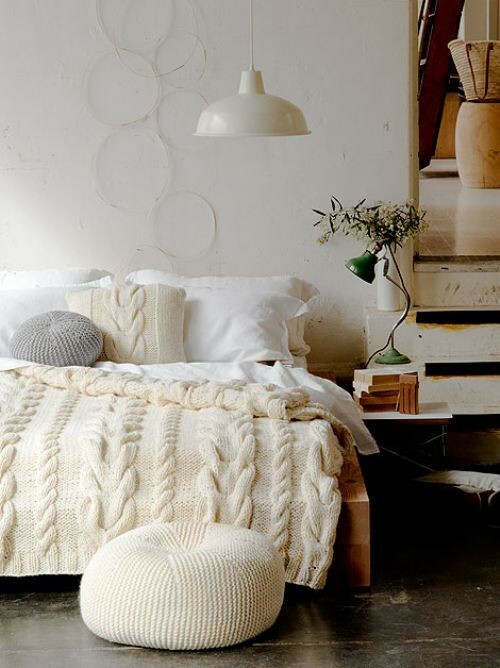 That cabled bedding - I'm already planning to spend the next five or six years trying to replicate it. I just want to roll around in that image. Love your blog and your design style. You definitely have a knack for this! Obsessed with this post. So perfectly fitting for the snowstorm that is on its way to me right now! Your inspiration is spot on beautiful! I have a love/hate relationship with snow days...but your changing my mind to love/love!